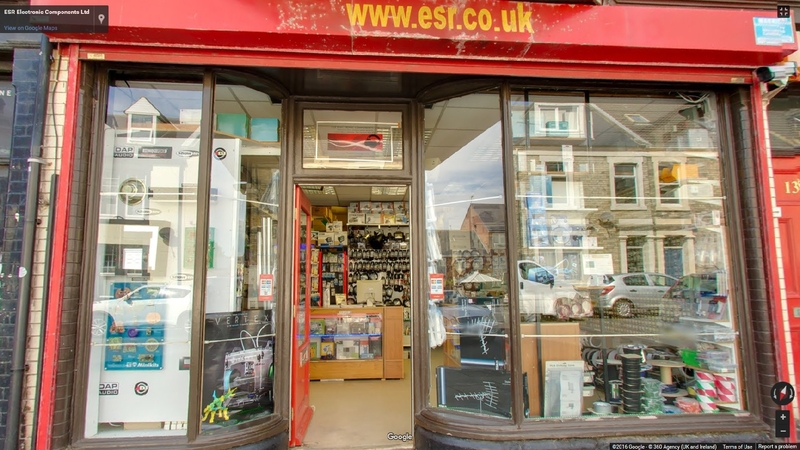 ESR is located in the North East of England and was formed in the early 1980's offering customers a broad range of Audio-Visual, Electrical and Electronic Components and Accessories. We supply businesses and individuals involved with the design and construction of bespoke electronic projects. The staff are all highly experienced trained engineers with many years of service in the industry. If you wish to enquire about a particular product we can be contacted by phone. If you seek more technical information or advice, please contact us by Email as we will be able to offer you a more comprehensive answer and maybe include manuals and drawings. With our professional, knowledgeable and friendly staff, a large range of equipment to choose from, we aim to provide you with a first class service. The shop is located in Station Road Cullercoats, where there is ample free parking. (Not subject to the malicious antics of North Tyneside parking enforcement officers) If you are unable to collect from our premises, you are more than welcome to browse the website and we can arrange to have the goods delivered. In 2007 ESR Electronic Components Ltd became the sole independent UK retailer for Velleman, a well established Belgium company which specialises in a range of professional consumer electronic goods. They are best known for their range of self assembly Kits and Electronic Modules. We have all of their Kits and Modules in stock and these are available for shipment direct from our shop in Cullercoats. In May 2011 we introduced a range of ready assembled electronic modules from Cebek, a manufacturer based in Barcelona, Spain. Their products include Amplifiers, Counters, Timers, Single and Multi channel Remote Control modules and Power Supplies. We keep these in stock at our shop in Cullercoats and they are available for intimidate despatch. April 2017 the old faithful catalogue based style website was joined by the now much more familiar e-commerce style site. We will run the old and new styles together to accommodate both our internet customers and our regular visitors the shop in Cullercoats. We are also UK stockists for Antex, Arduino, CK Tools, Dap Audio, Expo Tools, IMG Stage Line and Perel Tools.